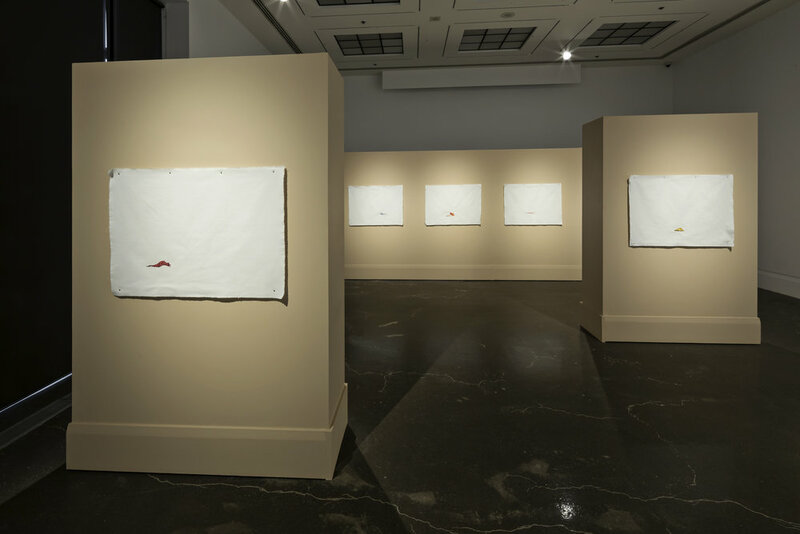 Erika DeFreitas investigates ideas of absence, loss, and memorialization through textile-based practices, and performative actions that are photographed, reaching for ways to make the impermanent permanent, or to engage in ritualistic acts with the hopes of regaining what is lost. 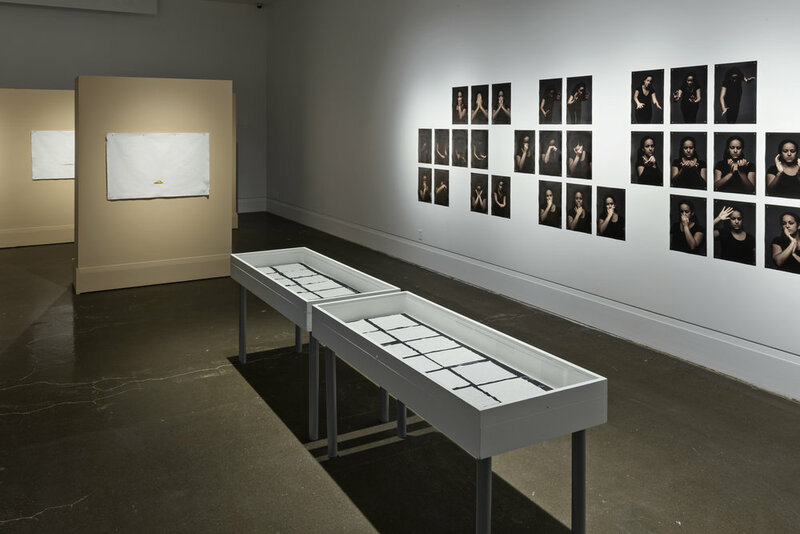 Erika DeFreitas, The Work of Mourning, 2015, Main Gallery, Art Gallery of Mississauga. Photo by Toni Hafkenscheid.